My Sweet Journal is a spiral, hard-bound journal with over 40 pages to plan, design and draw. 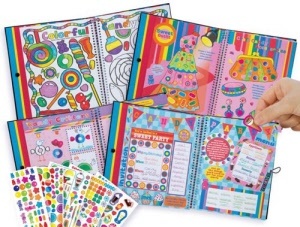 Design a candy store, decorate a room, write down thoughts and make sweet candy critters. 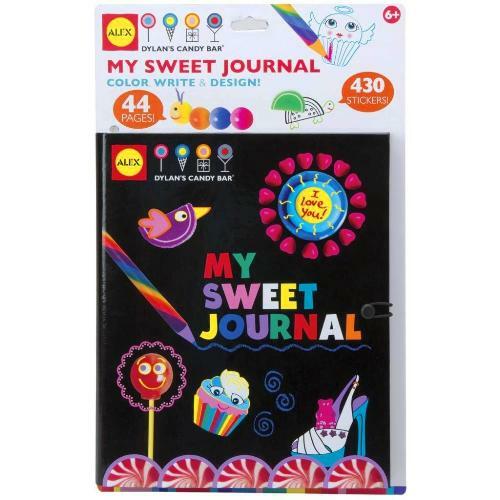 Over 400 stickers included to decorate your pages.